Accurate estimation of solar energy potential is crucial in the pre-feasibility phase. Besides accurate results, it is also desired that the pre-feasibility study is done efficiently. Solargis prospecting tools, iMaps and pvPlanner, provide fast access to reliable solar yield estimates. 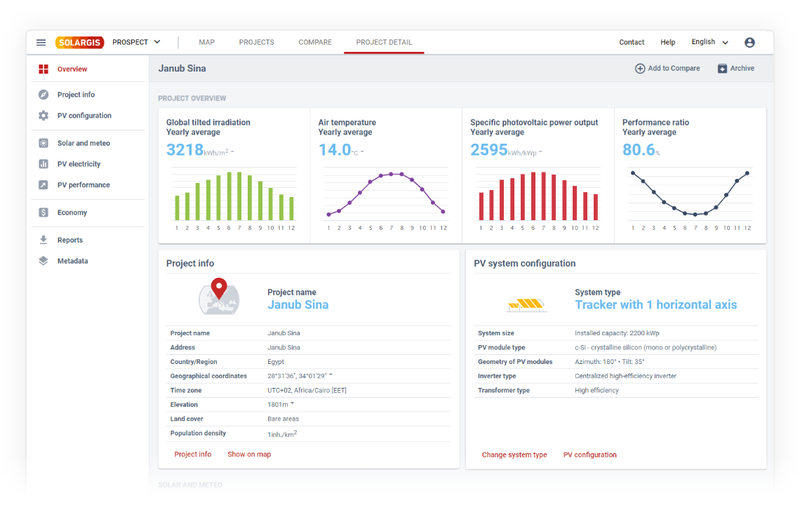 The new Prospect tool (currently in beta) further increases accuracy of estimates and makes it easier to collaborate efficiently on development of solar projects. Solargis data has the best accuracy and reliability amongst available solar databases. This has been confirmed by several independent studies. 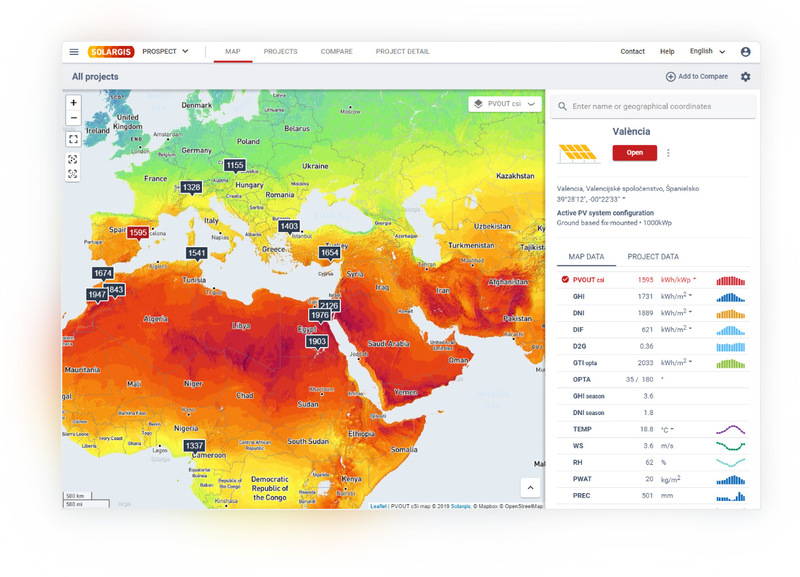 Solargis data has been validated at 1000+ locations globally. Validation statistics for 180+ non-confidential sites can be seen on our validation map. Popular simulation software such as PVsyst have advanced capabilities for system design and energy modeling. However, the default weather data in such tools is not the most reliable. 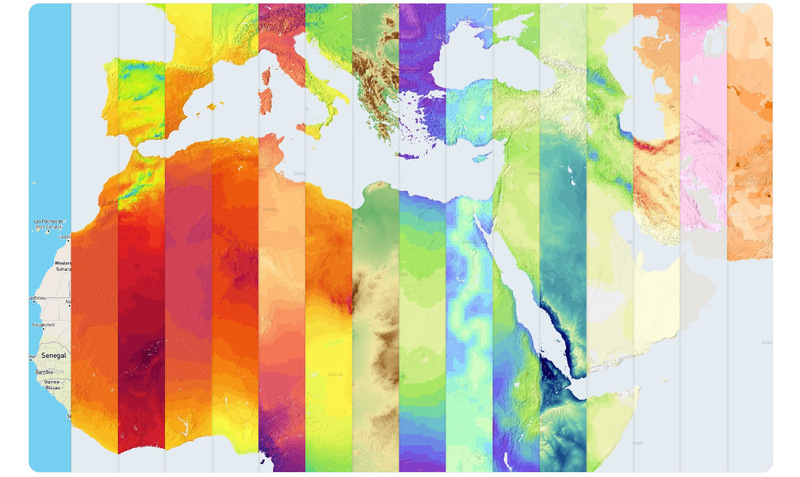 Importing weather, albedo, and horizon data from 3rd party data sources is often time consuming. With Solargis prospecting tools you have everything you need for preliminary yield assessment in one platform. "We compared Solargis data with our own measurements and saw that accuracy claims of Solargis were indeed true – Solargis data matched very well with ground measurements"
17+ solar resource, meteo, and geographic data layers for accurate estimation of temperature losses, soling and snow losses, and bifacial gain. 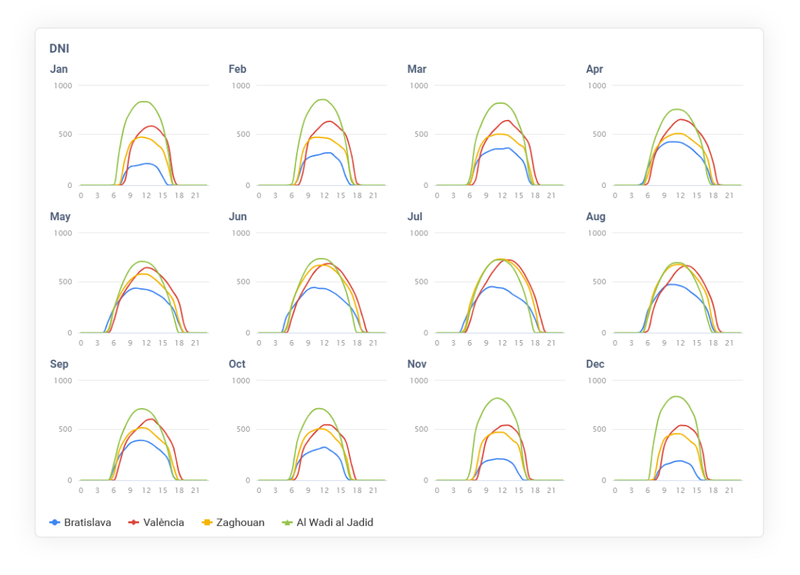 Output data is aggregated as anual and monthly averages, and average hourly profiles for each month. 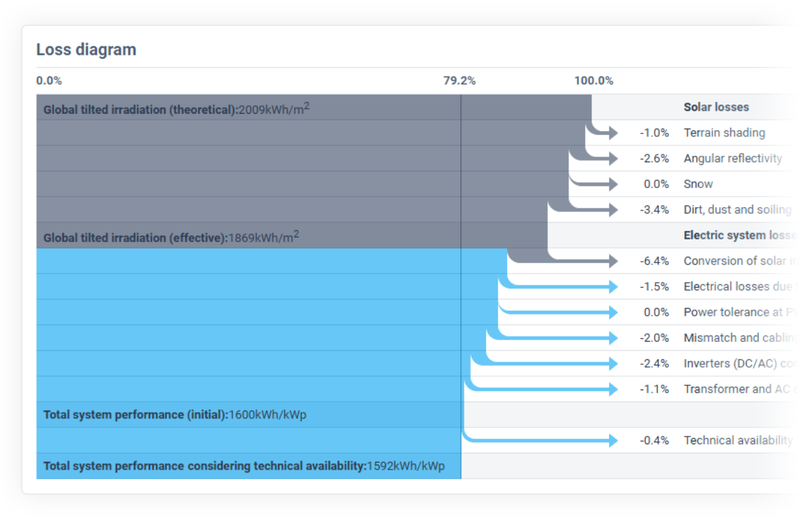 Interactive charts and tables help to better understand the PV electricity potential and PV performance. The simulation model is based on the latest scientific developments. All factors affecting plant performance are considered and a detailed breakdown of losses is provided. Horizon data with up to 90m resolution is included for each site, allowing for accurate and automatic calculation of far shading losses from nearby hills/mountains. 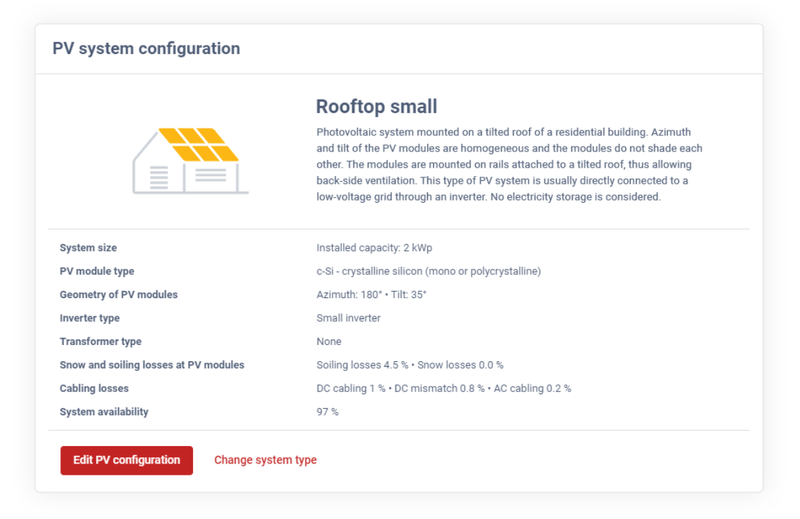 Calculate payback of the solar energy project, return on investment, overall savings and levelized cost of electricity using the built-in economy calculator for any site and technical configuration. In Prospect app, teams can collaborate on projects. Organize projects using tags, share them and manage permissions. User interface and reports are available in English, Chinese, and Spanish. We plan to add support for Japanese and Russian in a near future.